Lemon, Bergamot, Green Mandarin, Iris. I’m a big fan of any colognes made by Creed, but this one is kind of underrated. Smells like money! This lasts long and smells great. Creed Millesime Imperia,l another Creed fragrance that is underrated. I like this scent . not overpowering and last all day. Even in warm temperatures I still smelled amazing. This seems to me like Silver Mountain Water's older, more mature brother. I like it a lot, but SMW is better in scent, longevity & projection. Great summer scent with crisp and fruity notes. The watermelon really stands out and gives off a fun, playful vibe. I did not care much for this one. The top notes are nice, but then it smells like a classier version of Unforgiven by Sean Jean. I'm not too fond of that style of scents, so I did not care much for this one. It's not bad, it's just not my flavor. Ordering was quick and simple. The product and packaging were excellent. 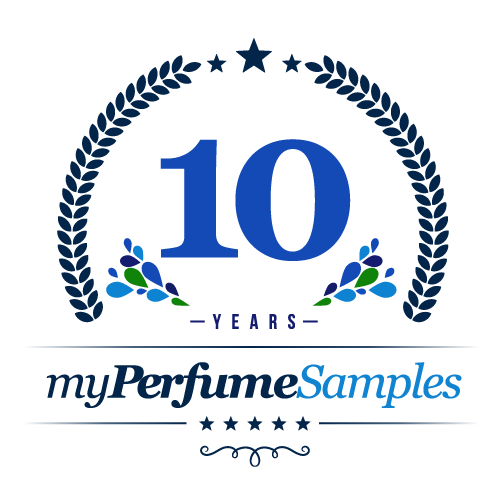 I would order from myPerfumeSamples again! The scent is so refreshing and pleasant!!! Perfect for elegant occasions in the spring/summer. Very nice but super expensive. I get alot of orangy citrus at the top then a salt air note. It dries into a pretty fresh aquatic musk. I actually had to make my boyfriend wear this twice because while its extremely interesting, its also extremely fleeting. This fragrance is has a very nice pleasing scent. No wonder there's so many positive reviews, especially on this website. It doesn't smell too citrusy at all even though this does have citrus notes in it. This also seems to be a type of aquatic fragrance as it does have "sea" notes in it. Even though Myperfumesamples list it as "for men", another fragrance website says it's unisex. I think this fragrance should be tried out by both men and women that like citrus or fresh types of scents for Spring and Summer. Millesime Imperial is another nice fragrance by Creed. The scent is citrus, sea notes, and fruity notes over a base of musk. On my skin the performance it a bit below average. Most people seem to enjoy this scent. You'll definitely get compliments. A lot of people only ever have anything bad to say about the projection of this fragrance, but it's a subtlety thing. This isn't the scent for you if you're trying to get weird in the club, it isn't about everyone in the bar knowing you have expensive cologne on, but at the office, in the car, on a road trip, where nobody wants to smell an offensive odor for hours on end it's perfect, on a date, at the movies, or anywhere you might get close to someone and want to smell great without seeming like you're trying to hard this fragrance is awesome. It's not super masculine, it's not woody, or spicy, but it makes up for that with it's own confidence in it's complexity, and androgenous though it may be, if you already bring confidence to the table you can rock it. I liked this scent, my other perfume shopping said Unisex, so I tried it. It smelled really good for quite awhile. Then it got this old mildewey smell to it. Like it, itself was old. I've tried many scents so far and this is by far my fav bc it is complex and not excessively generic like many others. This is in a class of its own. Period. I now have a 4 oz'er and couldn't be happier. This is my special occasion cologne. I do like the depth (without the musk tones of perfumes old ladies wear at the opera just to wreck your evening) and masculinity (without the inexplicable crude oil odor of Aventus Creed -- you might as well mouth pipette some gasoline from your car and splash yourself with it if you want to wear Oud). At any rate, all my others like Polo Red, Nautical Classic, and Made to Measure Gucci are excellent, but for standing in line for coffee or groceries, if you catch my drift. This was the 1st Creed product I sampled an I have been in love ever since. It truly does smell like roality, it lasts a long time but isn't to strong even when you 1st put it on. I'm a creed fan to the end. Although when I bought mine it said it was for unisex, so come on lady's try a sample. MOST of you will NOT regret it. As the title suggests, this is not a great scent but not a bad scent by any means if that makes sense. I know people go crazy for this stuff but I just don't get it. The scent has a very plant like smell that just kind of puts me off. I don't care for this scent much but that doesn't mean it is bad, it has a unique scent that can only be appreciated by some. Would I suggest you get some? Yes, I think it is worth a try before you consider buying a large bottle. This is just so good, kind of resembles silver mountain water, but sweet, strong, prominent, love it!